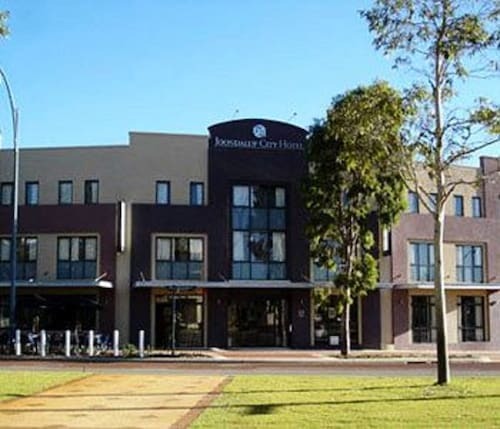 Situated in Joondalup, this hotel is within a 15-minute walk of Joondalup Health Campus and HBF Arena. Lakeside Joondalup and Yellagonga Regional Park are also within 1 mi (2 km). Joondalup Station is 20 minutes by foot. 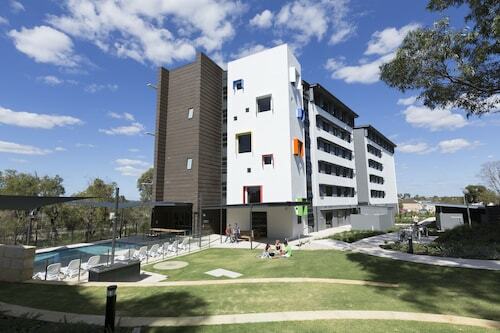 Situated in Joondalup, this hotel is within a 15-minute walk of Edith Cowan University Joondalup Campus and Yellagonga Regional Park. Lakeside Joondalup and Joondalup Health Campus are also within 2 mi (3 km). Joondalup Station is 17 minutes by foot. 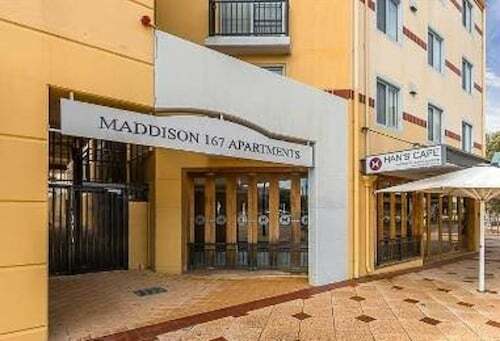 Situated in the entertainment district, this apartment building is within a 15-minute walk of Yellagonga Regional Park, Lakeside Joondalup, and Joondalup Health Campus. Edith Cowan University Joondalup Campus and HBF Arena are also within 1 mi (2 km). Joondalup Station is 8 minutes by foot. Want to go to Western Australia and its capital, Perth? You and your family should pass through the neighbourhood of Joondalup, positioned 25 kilometres north of the city centre. Sit back and relax at Lake Joondalup Park, and take in the pleasant view. If you'd like to hit the hay nearby, try the Joondalup City Hotel and Wanneroo Villa Tavern. Make sure you don't use up all your savings at Lakeside Joondalup. The Joondalup Resort and Time in a Bottle are your best choices for this place. A terrific Joondalup cafe, Dôme Café - Joondalup is definitely worth popping into. Kick back with a magazine, nibble on some sweet treats or just grab a coffee to go. Wondering where to go for dinner? You can't miss Bistro 38 - Perth Restaurant. The hearty meals here will be sure to get your energy levels back up. Your evening might be ending or just getting warmed up. Either way, a few drinks at Paddy Malone's certainly couldn't hurt. If you and your travelling partner can't book the ideal Joondalup hotel, look at the accommodations in Burns Beach and Mullaloo. Ready to make your Joondalup dreams a reality? Wotif will help you sort it out, from hotels to car hire. How Much is a Hotel Room in Joondalup? 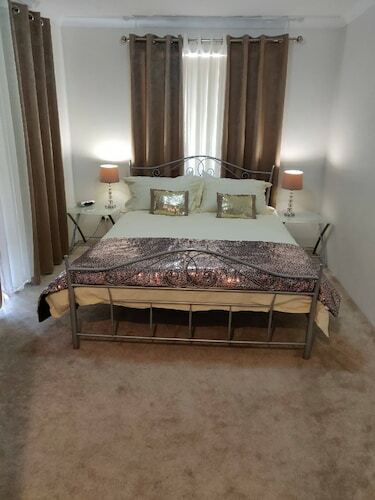 Hotels in Joondalup start at AU$135 per night. Prices and availability subject to change. Additional terms may apply.